ZED-14 is a fantastic mixer hire for conferences, solo performers or AV applications. Its comprehensive feature set, compact size and fine lines combine to make it one of the best small mixers around. Provided with configurable USB audio in/out makes it easy to capture stereo recordings, 6 mic or line inputs, 4 stereo inputs with EQ, there are an incredible 157 controls on the front panel of the ZED-14. 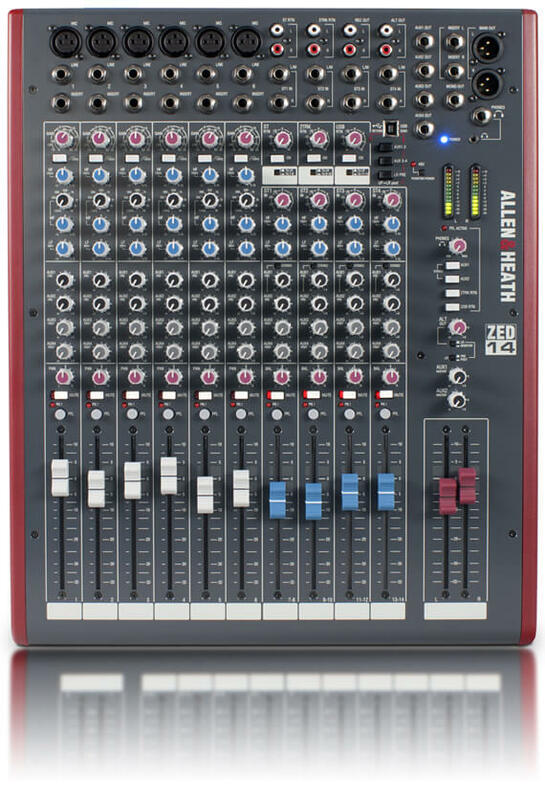 This is a mixer hire for anyone, from entry-level to professionals, who appreciates fantastic sound, rugged build quality and imaginative feature sets. It’ll be equally happy running your gig on stage, recording live or mixing down in your studio at home.